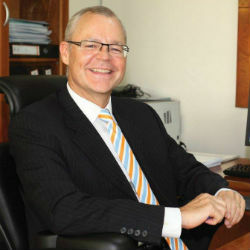 TanzaniaInvest interviewed Mark Wiessing, CEO of the National Microfinance Bank of Tanzania (NMB), as he shared profound insight on the country’s banking industry from the perspective of one of Tanzania’s largest commercial banks. TanzaniaInvest.com: You have been leading one of the largest banks in Tanzania for the last couple of years. During such time Tanzania has grown to 50 banks in the banking sector. What is your opinion on the banking climate in Tanzania? How would you describe the Tanzania banking sector? Mark Wiessing: When you describe the sector you need to look at it in the broader context. The context in Tanzania is that the economy is growing quite rapidly. The Gross Domestic Product has been growing 6 to 7 percent per year. In most emerging markets, as in Tanzania, the banking market grows 20 to 25 percent p.a. in that type of environment. So I think overall it is logical that there is interest from the banks to become involved in Tanzania because the dynamics here are the same as in most other emerging markets, 6 to 7 percent GDP growth means 20 to 25 percent growth for the banks. It is a good opportunity for everyone. The jury is still out on whether the number of banks we have here is an appropriate number or not, some would say 50 banks in what is still a smallish market might be too much. A few years ago Nigeria which is a much bigger market chose to reduce the number of banks from over a 100 to only some 20 large banks. On the other hand if you are in an economy where you have only 12 or 14 percent financial inclusion, it is clear the potential cake is quite large in Tanzania. People take a view on the future of the market. It is often believed that the more banks the merrier, and the benefit of that is that interest rates in the market will go down as a result of increased competition. My perspective is different, because even if you have more banks the real competition is not going to be on the lending side but on the deposit side. Those who are able to generate new deposits from new segments will have the competitive advantage. So it is important to have a business model that allows generating new deposits instead of a model that is purely based on lending. TI: Is this why everyone is rushing to increase their network or branches? MW: That is part of the reason. I think a lot of banks are investing in urban centres like Dar es Salaam, Mwanza , Arusha, Mbeya and so forth. But we are also increasingly seeing banks putting up branches in other locations. The way forward for Tanzania will have to be around technology rather than branches. Particularly in a large country like Tanzania, branches are expensive to put up and expensive to run. With the technology we have today, we can use low-cost, high-technology solutions to reach out to the population. From NMB’s perspective we are already doing that. We were the first bank to launch mobile banking. We now allow our customers to transact from mobile network operator e-money accounts (such as Vodacom’s M-Pesa) to their bank account and vice versa. It allows our customers to make use of the 50 000 agents that Vodacom has nationwide to withdraw or deposit cash. So our current network of 150 branches and 500 ATMs, that is probably 30 or 40 percent of all branches and ATMs in Tanzania, is expanded by thousands of cash-in/cash-out agents of Vodacom. TI: Can we expect newcomers in the banking sector focusing primarily on the unbanked population in the remote arrears? MW: I think at the end of the day banking business has to be balanced. Mobile banking is now very active in the rural areas but any bank focusing only on the rural areas will probably not be sustainable in the long run, there needs to be a balance of activities. At NMB we also have a strong wholesale banking business where we work with government and large companies, we have a growing SME business where we reach out to 60 000 SMEs nationwide and we have retail banking across the country with 1.8 million customers, and one without the other does not always make sense. Banking is about a balanced business model with lending, liquidity and transactional offerings for all segments. TI: What is the way to reach Tanzania’s unbanked population? MW: To reach the unbanked, a bank requires a widespread distribution network such as branches, and alternative channels such as ATM’s, Point of Sale terminals, Mobile banking and integration with mobile network operators. A number of banks including NMB already have these attributes. But the biggest constraint may in fact be somewhere else. It lays in our regulatory environment, with even the smallest prospective bank customers required to comply with strict KYC (“know your customer”) requirements including ID documents, proof of residence etc. These are difficult and costly to obtain for the common man, and significantly reduces the success rate for bank account opening. In fact most prospective customers are driven to open e-money accounts at mobile network operators as the KYC compliance requirements are much lighter. For real financial inclusion, we would encourage a level plays field between banks and MNO’s and easier KYC standards to be applied to customers with small balances. TI: NMB originally was a microfinance institution and today it is one of the largest banks in Tanzania offering a wide spectrum of financial solutions. What is your current focus and where do you see the largest opportunities for banks in Tanzania? MW: Pre-privatization NMB had 100 branches nationwide which were effectively operating manually. Since privatization in 2005, the bank has spent a lot of money on IT and expanding its branch network, we are now at 150 branches operating real time online nationwide. We went from a bank that had zero ATMs to 500 ATMs; and we are the largest owner of ATMs in Tanzania, with probably 40% of ATMs in Tanzania being NMB ATMs. We have expanded our customer base from 600 000 to 1.8 million people. We have done this by spending quite a bit of money on technology and you will see us continuing to do so in the future, developing new offerings for our existing customers and to look out for new customers; offerings that will bring us closer for example to the mobile network operators. It is about investing in technology. Today of the 4 million transactions we process per month, half of that is transferred electronically. ATM, Mobile banking, M-Pesa transactions and so forth will continue to be important. So our philosophy is balance and sustainability. Although we are profitable, our philosophy is not to maximize profits but to be sustainable in the long-run. We continue to invest and develop offerings for our key segments; wholesale banking, retail banking, SME and so forth. We are one of the key banks active in seasonal crop finance in Tanzania, particular at agricultural cooperative (Amcos) level. So we have a very important role in agriculture. We can also say we are not just a bank for the high-level customers; we are a bank by the people and for the people of Tanzania. That is how we position ourselves. TI: In your opinion what are the key factors that make an average Tanzania choose a bank? MW: Some of the key factors are proximity and brand. From a proximity perspective it is clear that NMB is closest to people through our many outlets, and our motto is “Close to you” so we are close to our customers physically and also in terms of mindset. In markets like Tanzania a lot of people are still afraid of banking, because banks to them seem to be restricted for a certain segment of the population which many people feel they cannot aspire to. You go from the street into air-conditioned areas with people wearing suits etc. That is a different world for many Tanzanians. For NMB, our name says, it is the National Microfinance Bank, so our brand is strong enough to be seen by the people as being part of the people as opposed to being a remote or foreign-owned organization. We are locally owned. We are accessible. TI: How long do you think it will take Tanzania to reach full financial inclusion of the wider population? MW: I think it will need to go step by step. If you look at South Africa as an example we still have a long way to go. We come from such a low base that an ambition to double formal financial inclusion is a realistic ambition in 3 or 4 years’ time. TI: What is NMB doing in terms of Corporate Social Responsibility? MW: We have linked our CSR programs to what is closest to us at NMB which is financial inclusion. It is part of our vision and mission so we have chosen to spend most of our CSR time and effort on building financial literacy. Each of our 150 branches adopts 3 or 4 schools in their neighborhood and these schools are then provided with information about financial literacy. So we are teaching kids what it is to save money, what it means to borrow, and also to understand how you can transact and protect your funds. We explain to these kids the value of money, how to use money to improve their lives in the long-run. We reached 50 000 children last year and through them even their parents benefit. TI: The economy of Tanzania is booming. In which sectors do you see the most interesting investment opportunities? MW: In the context of a rapidly growing economy, there are good opportunities in most areas. There are adequate and good economic policies. We have seen the Bank of Tanzania and Ministry of Finance taking the economy in the right direction. There is of course potential to do better. But every year the economy and operating environment gets better, things are improving. The long-term future of Tanzania sees booming oil and gas sector; this points to a very strong development potential for Tanzania. Goldman Sachs estimated that by 2050 Tanzania will be the fourth largest economy in Africa. So the potential for Tanzania is good. From NMB perspective, we would like to see more activity in agriculture. For Tanzania to reach its full potential as a country, and with so many natural resources, in terms of land, water, quality soils etc., the whole opportunity around agriculture is severely under-invested and the sector remains fragmented. It is not getting sufficient attention. Tanzania could be the bread basket of Africa. TI: How would you describe what Tanzania is about? MW: To encapsulate everything I have said about the country, I would say that it is one of the top 5 economic destinations in Africa. You need to be in Tanzania if you want to be in Africa.